Top Model Filip Hrivnak for the new campaign DSQUARED2 FW17 ! Supermodel Filip Hrivnak shot by Tomas Falmer for the pages of Plaza Magazine‘s Summer 2017 edition. FILIP HRIVNAK FOR GQ SPAIN "PUNK'S NOT DEAD"
"THE RETURN OF THE MALE SUPERMODEL"
Filip Hrivnak for Givenchy FW17 in Paris ! Photographer Bruce Weber and stylist David Bradshaw reunite for Versace’s spring-summer 2017 campaign with our top Filip Hrivnak. The Italian fashion house goes rural with a trip to Kentucky. 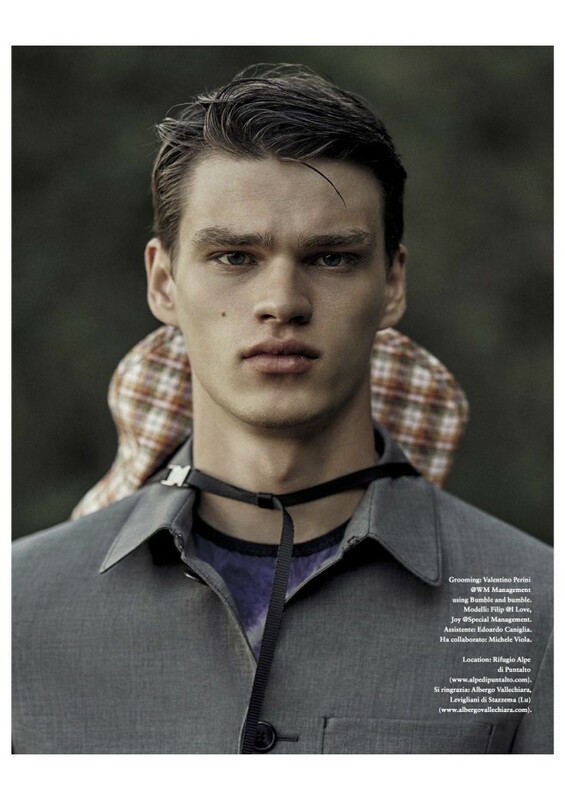 Filip Hrivnak dons a Gucci look for the pages of GQ México. Photographers Luca and Alessandro Morelli come together with stylist Fernando Carrillo for the spread. Carrillo outfits Filip in Gucci’s cruise 2017 collection from designer, Alessandro Michele. FILIP HRIVNAK FOR GQ "MODEL OF THE YEAR "
FILIP HRIVNAK FOR VOGUE ITALIA"YOUTH"
FILIP HRIVNAK FOR HERCULES FW15 "THE SECRET AGENDA"
FILIP HRIVNAK FOR VOGUE HOMMES INTERNATIONAL "LOST IN LA"
FILIP HRIVNAK FOR VOGUE HOMMES INTERNATIONAL SS15 "THE BLAME GAME "
FILIP HRIVNAK FOR VOGUE HOMMES INTERNATIONAL FW14 ISSUE "THE PREDATORS"
FILIP HRIVNAK FOR W MAGAZINE WITH KATE MOSS " SUPERNORMAL SUPERMODELS "